Thank you Julie, when I think back to our first virtual connection and had set an #efellowship goal to be part of a #Flatconnect. Here I am training with you to become certified has far exceeded my expectations. I am learning so much and love what I am achieving in regards to understanding the learning process. My SOLO mentors +PamHook and +VirginiaKung will be nodding in agreement. The course focusses on collaborative learning, we are documenting that process and I am able to frame my learning using SOLOtaxonomy which is why I think I am being extended as an educator. I love the discussions taking place between my team mates and this reinforces the concept that learning is not a journey one takes alone. Sonya, this post I will need to read and re-read to absorb all of the thinking you are sharing. It is certainly a testament to your deeper thinking and learning – and I appreciate you sharing some frustration regarding teachers who are not also pushing the limits or in fact are not even considering connected learning modes. 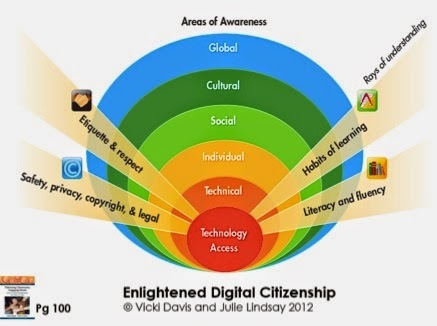 General consensus recently is that 'digital citizenship' should become 'global citizenship' or just 'citizenship' and I love your rubric -based approach to show how passive could become active in this area. In fact our Flat Connections Digiteen and Digitween projects focus on this as well – learning about being a global citizen through shared understanding and then action project implementation. Thank you for a thought-provoking and intensely diverse post! Whoah Chrissie I feel humbled with your feedback. In particular for UDL. I would never have thought of some of these ideas. In addition being a bilingual learner, giving the audience an opportunity to be able to translate the notes into their language would certainly remove more barriers to learning. I do not know what you mean by closed captions on the videos but will certainly investigate further. 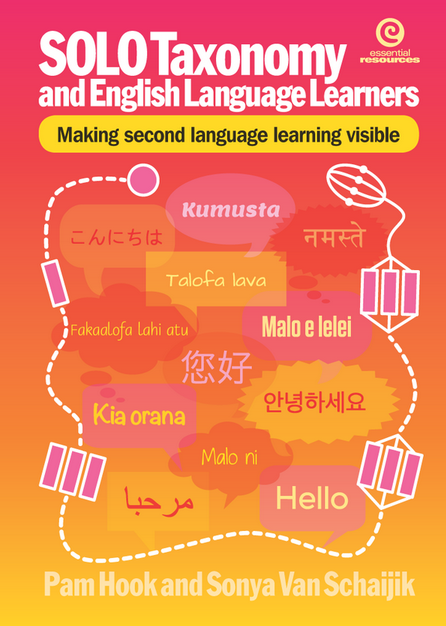 I love the idea of removing barriers to to participation and have been building connections too to having more participants from other language backgrounds in New Zealand. Julie Lindsay calls this level cultural awareness. At this stage I have a narrow understanding but with all the discussion, I am learning all this time. Thanks for stopping by. Pam gave me a prod, to alert me to your post. Great thinking. Universal Design for Learning is a great tool for helping us to identify, minimise or hopefully remove barriers to participation and learning in online spaces. The principles themselves are a good place to get started but it is really once you get into the 3 guidelines and checkpoints associated with each principle that it gets meaty. So for example, if we just think about learning materials, creating them at the outset so that they are flexible (adjustable) and can be individually accessed by participants before and during a TeachMeet is really helpful. Some folk will want to enlarge the font, flick back and forth etc. If you use videos, selecting those with closed captions is a bonus. This just offers another mode to support understanding. NB: Closed Captions are those that have been deliberately added by the film maker, not those guessed by YouTube, which are called automatic captions. Just in case some people are unfamiliar with the difference. Re supporting multiple pathways to contribute to discussions, one place to start would be to think through what might be some of the barriers that would inhibit people from contributing their thinking. Next base would be to then consider what might be some of the ways those barriers could be removed and to build into the design a range of options that considered both technical constraints, e.g wobbly wifi, tech in a temper following the Yosemite Apple update, inexperience with the platform and also social preferences, e.g some people would prefer to type rather than speak in a large hang out. Last up, just asking participants for specific feedback related to one guideline after each TeachMeet is also a cool way to steadily increase the effectiveness of the environment and its accessibility. Awww Monika Thanks heaps for taking time to share what you have been reading. It was interesting to Hear Tony Ryan speak today about Justice and learning as this is something quite new and yet quite old to me. Maybe I wasn't ready for it the first time around. I have also been revisiting and unpacking the Netsafe resource http://www.mylgp.org.nz/ again. That is still a great site. I look forward to your post about #EdBooKZ and how you view where you are up to with Citizenship. I love your thoughtful and disruptive post! I agree with you on so many points, hence snatching up 'citizenship' for our CEM project. My understanding of SOLO is extremely shallow (yet another topic to add to my never-ending reading list! ), I can see how you skilfully weave them together but I don't feel I can comment on this aspect. I am very intrigued though by Flat Connections, one of my teachers actually talked about joining this course, also. To me it seems that we adults need to work a lot harder to connect and to collaborate, where for children this is a lot more natural. Therefore, is the term 'digital' more or only relevant to adults, especially less connected adults? Are our needs to distinguish between different spaces holding back the connecting of our learners? (this reminds me of discussions between prescribing what device a child must have at school and BYOanyD, the former often put in place to support the teacher, not necessarily the learner!). Interestingly enough the Wikipedia mention of Digital Citizenship is very brief (http://en.wikipedia.org/wiki/Etiquette_in_technology#Online_etiquette). I am now intrigued by the idea of 'exclusion', of someone not being a citizen, and I will have reflect more on this. Being online is a big part of my life and the life of my family members and no longer separate from it. I see my actions in cyberspace following the same values I apply in other aspects of my life, and they closely relate to Andrew Church's “6 Tenets of Citizenship” which I like to rephrase to “Protect and respect myself, others and intellectual property” (http://edorigami.wikispaces.com/The+Digital+Citizen). In different contexts these values are expressed differently: In Germany my students would have known me as “Frau Kern”, in New Zealand schools I am “Miss”, “whaea” and “Monika”, and in Twitterland I am “BeLchick1”. All of these are respectful in their own contexts (I could go on about the other values but I am sure you understand what I mean). So where does this leave (digital) citizenship? I am not quite sure yet! I am quite adamant that we should take digital away, but watch this space to see if I can make a convincing point for this! This is an absolute fantastic and thought provoking post Sonya! I love how you always reflect on everything you do and looking for the next step. What a great example you set for everyone – to continue to learn and extend ourselves. Alex, thanks a lot my twitter buddy. Yes, creating a rubric always clarifies my thinking, and the discussion with Pam clarified what was happening, It was because I was at multistructural with my understanding. I think it has shifted to relational, and with the work I am doing with with Julie Lindsay and team, I hope my understanding deepens even more. I want to share this learning journey at my final Eduignite presentation. I initially planned to present about Digital Citizenship, but now can see it is citizenship and does not required the digital in front. I cant wait to have a korero too with Monika and hopefully Andrew. I want to explore justice orientated citizenship in further detail with my SOLO mentor Virginia Kung as we are working together trialling a school resource that is all abut citizenship. We are sharing that journey at Ulearn. LOL Fiolae Sole, and not (S.O.L.E) I would not have thought about the Solo. Fiu le ata ma sao lelei. Ua pa lou mafafau i lenei masina. Ua tele le galuega malosi i le lalolagi atoa. Ua tele foi lou galuega i luga o le upegatafaailelagi o 'TeachMeetNZ'. Faafetai ua e asiasi mai ma tusi ni upu faamalosi mo lenei tagata. Malo lava ia lou sūsūga Sonya. Thank you for sharing Samoan Pasifika mind globally and more especially with the Pasifika community like myself. I am so grateful I have connected with you online because our minds work alike…Pasifika styles in a virtual world…hehe. I always enjoy reading your posts and this particular post hooked my Pasifika mind for many reasons. For example, Solo Taxanomy hooked me. As an ex teacher, I've used this model with my class and it gives me quick formative assessment for all students particulary my Māori and Pasifika students. I totally support you're thoughts and ideas. For Pasifika learners to make connections to new learning, they always refer back to prior knowledge, always! If our Pasifika learners haven't made that connection at Pre-Structural level, then more scaffolding is required. If they have made that connection at Muti-structural level, you have them hooked. Solo is like Sōlo ( bath towel in Samoan). Without a towel, I am naked and lost, embarrassed to ask for help. With a towel, it begins my confidence to learn the next step. Faafetai for sharing my friend. Lets build on your idea of literacy and fluency to connect with our Pasifika communities online. Keep on keeping on and together, lets make a difference for our Māori and Pasifika communities. Ia manuia le masina Oketopa, ma āso fanau!